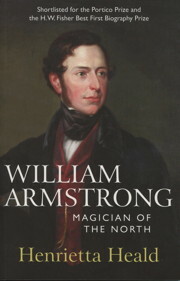 William Armstrong, Magician of the North was shortlisted for the Portico Prize for Literature and the H. W. Fisher Best First Biography Prize. The book now has 35 five-star reviews on Amazon. Usually available also from Waterstones and Booksetc. Michael Portillo visits Newcastle and interviews author Henrietta Heald about William Armstrong and the creation of Newcastle's Swing Bridge. Here is an evocative film of life in the Dene in the 1950s. To find out more about Jesmond Dene and the future of the Banqueting Hall, write to Jesmond Heritage via the contact form. As part of the series World War One At Home, Radio Newcastle acknowledges the crucial role played by the Tyneside firm. The Banqueting Hall in the 1880s, with the Ouseburn in the foreground. See below for its appearance today. A wonderful opportunity has arisen for Newcastle upon Tyne to honour the Armstrong legacy by transforming Jesmond Dene Banqueting Hall into an innovative school of drawing, creating a cultural magnet for the city. 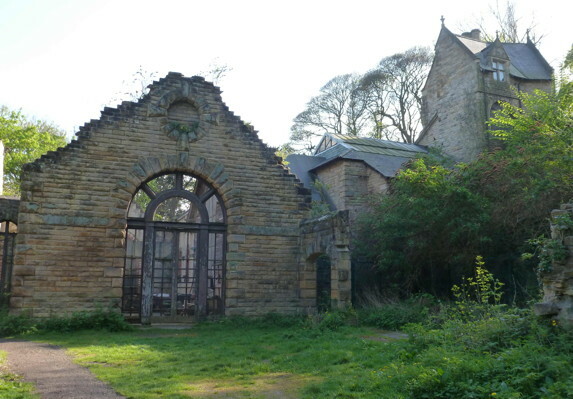 As part of the regeneration project, the Banqueting Hall gatehouse, designed by leading Victorian architect Richard Norman Shaw, could become a centre for the study of local history, with a particular emphasis on the array of fascinating characters, including artists and architects, who have been associated with Jesmond Dene throughout its history. Jesmond Dene is a beautiful public park on the eastern edge of Newcastle upon Tyne that follows the course of the enchanting River Ouseburn. The land was once owned by Sir William Armstrong, who in 1883 gave the park and its Banqueting Hall to the people of Newcastle in perpetuity. Armstrong had spent part of his childhood in the dene, and after his marriage in 1835 he and his wife created a house and garden for themselves there. They gradually acquired more land in the dene, which was farmed or laid out as pleasure grounds. The success of Armstrong's Elswick Works, which produced ships, guns and hydraulic machinery, had made him one of the richest men in Europe, but his instincts were always to share his wealth and good fortune with others. With Richard Norman Shaw as chief architect, Armstrong built Cragside in Northumberland, the first house in the world to be lit by hydroelectricity. 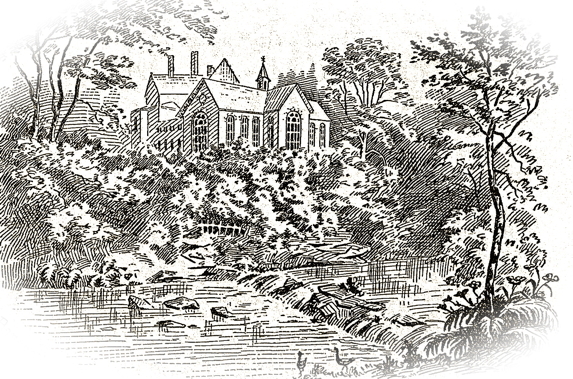 Shaw also worked on Jesmond Dene Banqueting Hall, which was originally designed as a place to entertain Elswick employees. When the Armstrongs formally handed over Jesmond Dene to the people, in the presence of the Prince and Princess of Wales, the building of Cragside was almost complete – and it was at Cragside that they entertained the Royal Family for a few memorable days in August 1884. Three years later, Sir William Armstrong was raised to the peerage as Baron Armstrong of Cragside, becoming the first scientist and the first engineer to join the House of Lords. The Armstrongs’ love of Jesmond Dene never left them, however, and they continued to stay often at the home they had created there 50 years earlier. Lively and gregarious by nature, Margaret, Lady Armstrong liked to be in easy reach of vibrant Newcastle, and made frequent trips to London to attend concerts, exhibitions and lectures. As well as sharing a love of the arts, she and her husband had always taken a keen interest in education, founding the Elswick Mechanics' Institute and Newcastle's College of Science (which evolved into Newcastle University). It was natural that the Armstrongs’ should have ambitious ideas for the Banqueting Hall. They stipulated that it should be devoted to ‘lectures, recitals, concerts, banquets and meetings connected with arts, literature, science or education’. Armstrong also endowed four properties to fund the unkeep of the dene and the hall, among them Deep Dene House (Fisherman’s Lodge). Well kept for many years, the Banqueting Hall fell on hard times in the 1970s, when the roof of the oldest and largest section was removed. In 1985, Armstrong Studio Trust, an independent arts organisation, moved into the building and has pursued studio practice there ever since, while working to stem the decline in its physical fabric. A larger initiative is now needed to secure a creative and productive future for the Banqueting Hall. The neglected Banqueting Hall as it appears today, with the Norman Shaw gatehouse at the top of the hill.